A data diode allows data to flow in one direction, but not the other. A simple concept, but one that transforms industrial cybersecurity. With a data diode (also known as a unidirectional gateway) you can send data from a critical industrial asset to the Cloud or anywhere else without worrying that adversaries from the other side of the connection will be able to access your asset. Data diodes have been required for years in the highest security environments such as military bases and nuclear plants. But to date data diodes have been extremely expensive and were often challenging to configure. MicroArx Data Diodes use the laws of physics, like other data diodes do, to ensure that data can flow only in one direction. But, MicroArx Data Diodes cost a small fraction of what other data diodes do, and are easy to install and use. One way data connections enforced by the laws of physics, endorsed by the laws of economics. MicroArx Data Diodes are engineered to provide the best-in-class security that only one-way network links can provide, while being affordable enough to fit into almost any budget. Unlike traditional Data Diodes which target very particular niche applications which add very significant costs, MicroArx Data Diodes are designed so everyone can benefit from the security that Data Diodes offer. At prices similar to software based firewalls, there’s no reason not to benefit from the increased security that MicroArx Data Diodes provide. MicroArx DD Deries Data Diodes: Hardware That Physically Enforces A One Way Flow Of Data. Because data diodes physically enforce a unidirectional connection in hardware. They only allow data to pass from side A of a network connection to side B, but not from B to A. 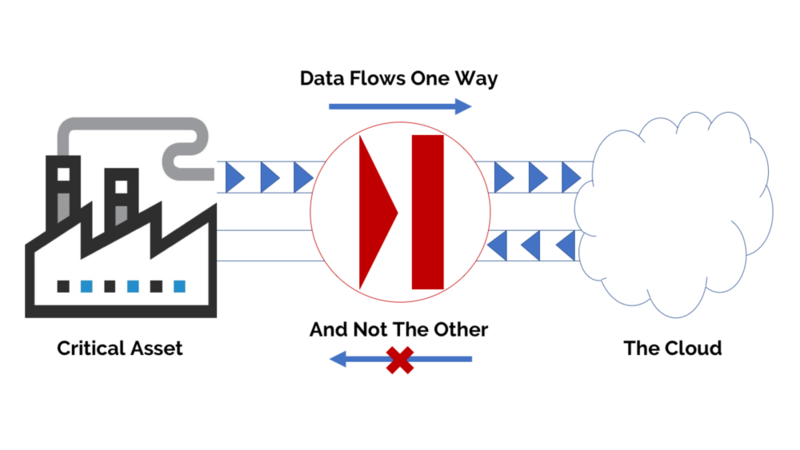 The allowed data pathway can be from the "low side" or untrusted network, to the "high side" or trusted network, or vice versa. In the first case (from trusted to untrusted), a critical asset can send data to another system or the Internet, yet be protected from all attacks from the other side of the connection, including those that might seek to cause physical damage. For example, a company might want to send performance and maintenance data from an asset to the cloud for analysis, but prevent any data from the cloud from reaching that asset. In the second case (from untrusted to trusted) data in the high side network is kept secure but users on the high side can continue to access data from the low side. In cases where a secure system requires data from the Internet, the high side can receive Internet data from the low side, but no one from the Internet can access data on the high side. For example, a company might want to receive operational information over the Internet for the purpose of financial analysis and reporting, but not allow any of that proprietary financial information to be exposed to the Internet. Until now, data diodes were typically used only in environments such as defense, often connecting two or more networks of differing security classifications (a "cross domain solution. "), or in nuclear plants, electric power generation and distribution, oil and gas, water systems, aircraft, and manufacturing. But the high cost of traditional data diodes has made the technology applicable, even in those fields, typically only in niche applications where budgets could bear the expense. MicroArx Data Diodes are designed to provide a secure and cost-effective solution for companies and even individuals who can benefit from the security that only a data diode can provide. MicroArx Data Diodes are protected by current and pending US patents.